Are You Prepared for Dog Ownership? 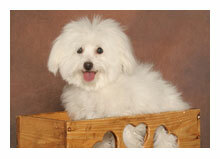 Coton pups are like little babies. They need and deserve proper care, attention, and love. Are you ready and prepared to accept the responsibility of dog ownership? If you can’t answer YES to the following questions, you MAY NOT be quite ready for a pup at this time. Are you ready to take care of your pup’s health, training, behavior, socialization , and quality of life needs? Do you work very long hours? Will your pup be left alone for long periods of time? Do you have time and understanding to properly housetrain your pup? Do you have time to take your pup to “puppy kindergarten class” for proper training in obedience and socialization? 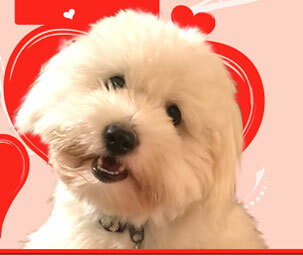 Do you have the time and money to routinely follow up on your dogs health needs with a qualified veterinarian? Do you have time to walk your dog on a regular basis? An important responsibility of every dog owner is to provide their puppy with education in manners and obedience. This should be done while puppies are young and impressionable. Dogs should develop good habits early on. Bad habits can be hard to break. All puppies should be taught how to sit, lie down, and stay. 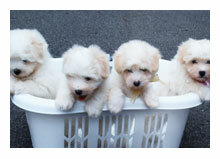 One recommended way for a pup to learn good manners and social skills is to go to puppy kindergarten class. Classes can often be found in your local area (dog clubs, etc.) at reasonable prices. But make sure you observe a class in progress before signing up. This way you can evaluate the dog trainer and find one that will make doggie kindergarten an interesting and positive experience. ...we are now taking reservations for future litters. If you are interested in one of our puppies, please contact us and read our PUPS FOR SALE section.